Dyslexia affects as many as 17 percent of school children in the United States, making it the most commonly identified learning issue according to the Yale Center for Dyslexia and Creativity. 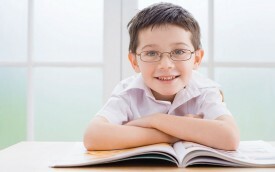 In Canada, between 15 and 20 percent of the population has dyslexia, says The Reading Clinic in Ontario. In spite of its prevalence, dyslexia is still widely misunderstood. The Mayo Clinic notes that dyslexia is marked by difficulty reading due to problems identifying speech sounds and learning how they relate to letters and words. Dyslexia is more than just seeing letters or words backwards, as it also may be characterized by difficulty comprehending rapid instructions and remembering the sequence of things. Some people with dyslexia may have trouble seeing and hearing similarities and differences in letters and words. Many children with dyslexia read below the expectations for their age. • difficulty putting things into words. Doctors and researchers have yet to identify a single cause of dyslexia, but genes and brain differences do play a role. Dyslexia often runs in families, and certain genes are associated with reading and language processing issues. Many people with dyslexia have above-average intelligence, but other differences in the brain may be apparent through scans. According to the organization Understood, an organization aiming to help parents of children with learning disabilities, the planum temporale area of the brain plays a role in understanding language. It is typically larger in the dominant hemisphere (the left side of the brain for right-handed people) than in the less-dominant side. However if a child has dyslexia, the planum temporale is probably about the same size on both the left and right sides of the brain. Schools and parents can do much to help children with dyslexia succeed in the classroom. Accommodations in class, such as extra time on tests or word-prediction or dictation software, can help immensely. Children also may benefit from smaller group instruction, as well as a multisensory approach to link listening, speaking, reading, and writing. In addition to these steps, adults can boost confidence in children with dyslexia. Enabling kids to explore hobbies and experience successes both in and out of the classroom can help youngsters improve their self-esteem.